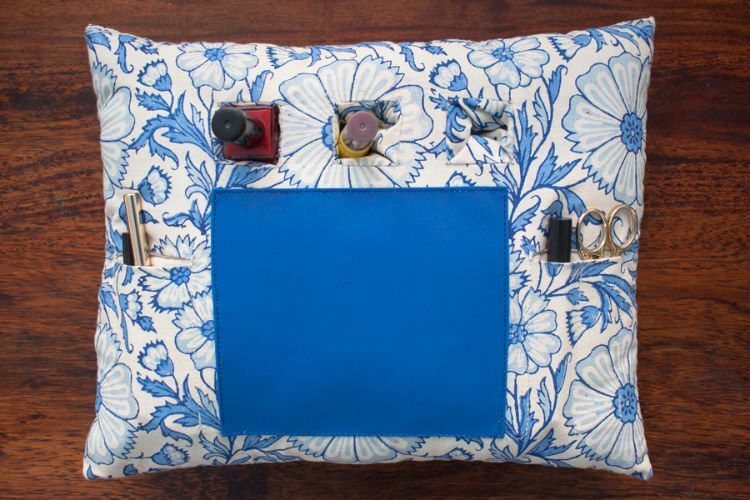 The perfect tool for manicures at home, manicure cushion with pockets to store scissors and nail files and three little holes for nail polish and a central area that can be wiped clean. Hand block printed inRehab and Training Unitof Hubli Hospital for the Handicapped, S.India. Men and women with disabilities or affected by leprosy are trained and employed in the unit. Material cotton filled with polyester fibres. Small panel of nylon fabric on the front.